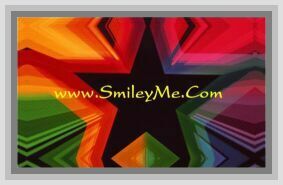 Get Your Rainbow Floral Spandex Lantern at SmileyMe! Beautiful Floral Spandex Lantern with a Rainbow on Black Theme. A Fun Accent Lantern that can Hung in the Corner of Any Room for Regular or Party Decorating. These Spandex Lanterns are Exclusive to SmileyMe and Include a Bright Battery Powered 3 LED Light for Illuminating the Design when Desired. Each 3 Tiered Party Lantern Includes a Chain for Hanging & Black Fringe at the Base. If You are Looking for Something thats Unique, this is it. Size is a Long 35 x 10 Inches & Makes a Great Gift. The White LED Light Includes an ON/OFF Switch, Last Approx 36 Hours & Uses CR2025 Batteries that are Easy to Get & Replace.